Acura puts a fresh, unsettling spin on the crash-test-dummy concept in "The Test," an unorthodox but riveting minute-long film by Mullen Lowe that touts the automaker's safety record. Set in an eerie crash-testing lab with ominous ambient tones playing in the background, the spot opens with a technician wheeling four life-like figures toward an Acura MDX. At first, as he hefts them into the vehicle and carefully poses their limbs and heads, they appear to be incredibly lifelike crash test dummies. After a few moments, however, we realize these are, in fact, human beings who manage to remain expressionless and incredibly still. And the "driver" looks suspiciously like the crash-test technician. Just what is going on here? We get our answer about the same time the vehicle collides with the wall. 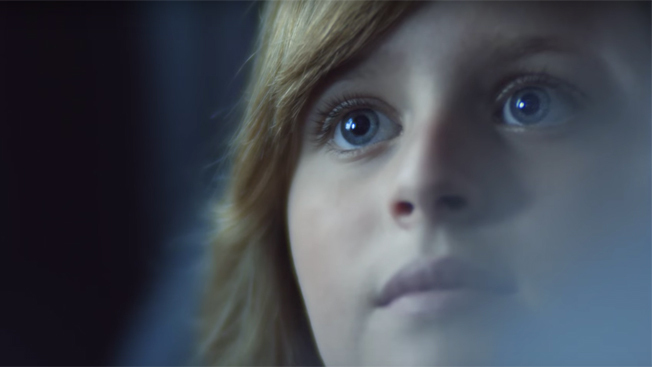 It's a logical reveal that makes sense in context and really drives home Acura's message. Still, why take such an unorthodox approach to announce you've earned top safety ratings? "Most ads that use crash test dummies are very technical and cold in nature," a style Acura chose to upend in favor of a more emotional experience, Leila Cesario, national advertising manager at Acura, tells AdFreak. "We are communicating the seriousness of safety and the trust that people place in their vehicles when they put their families in their cars and send them off to work and school. This is an incredible responsibility that we fully understand and experience ourselves. In this spot, we are punctuating this emotional drive behind our safety achievements." Overall, "The Test," backed by a broader digital campaign created with Razorfish, earns high marks for taking familiar themes in an unexpected direction. The pervasive strangeness of the commercial, though—anyone feeling like a trip to Madame Tussauds?—might blunt its impact for some folks, especially on first viewing. Track: Ex Machina – "Skin"